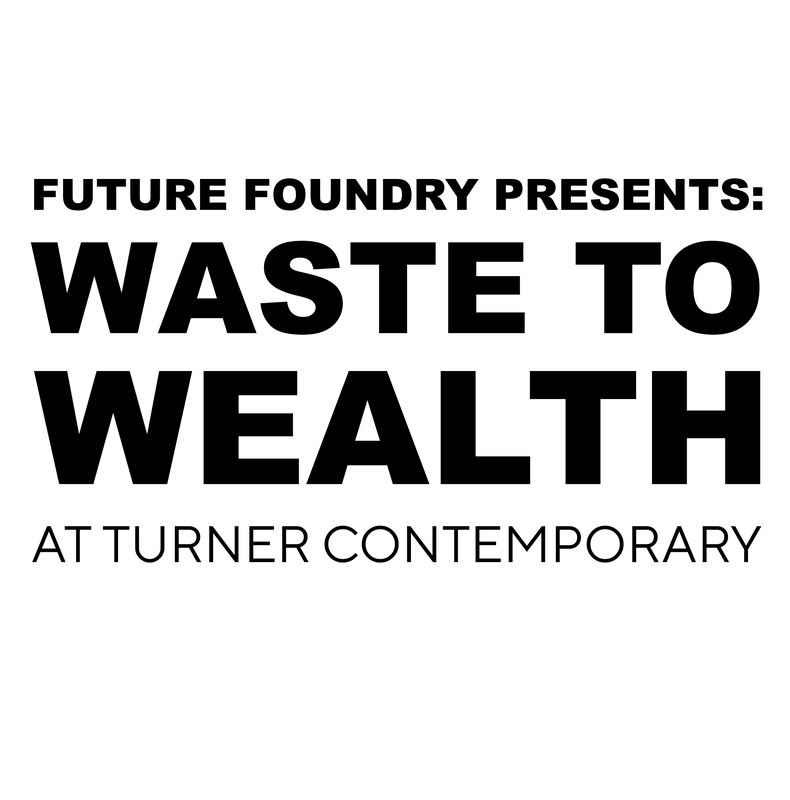 Future Foundry will be presenting a day of art, activities and events as well as an installation of activist banners displayed in the Sunley Gallery. 10:00- 13:00 Free Up-cycling workshops run by young makers from Future Foundry’s network. Illustrator Jack Cant will be running a canvas shoe doodling workshop. Amalia Cowley will be darning old Doc Martins with a drill and colourful thread. Emma Morris will be screen printing on donated t-shirts. 13:30- 15:00 Panel discussion of Circular Economy and Reverse Design using waste materials as a resource. Confirmed panelists are Kresse Wesling from Elvis and Kresse & artist and designer Alex Noble. Each panelist will talk about their area of knowledge. 15:30-16:00 The Waste Free Fashion Collective will be presenting a runway show as a follow up from the UCA Late Night event. Gloria Royer, Erin Laurel Hayhow, Robert George Sanders and Dream Safari will show their collections that have been made from donated waste materials.